Abigail was so proud of the gingerbread house she made! It was beautiful and even had Santa in his sled with reindeer pulling it. 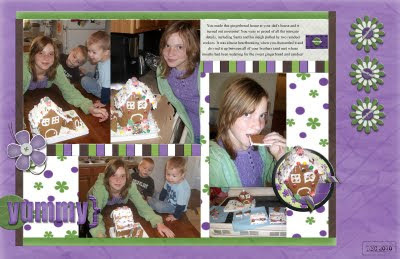 It was sad to see her dismantling it, but we all loved the yummy treat! Layout: "Look Whoo Just Turned Four"